Very simply, we act as the link between (a) people like YOU who want to help underprivileged children and (b) the child in need, wherever she/he might be, in India or the USA. We do this by channeling the goodwill, time and money of thousands of individuals, like YOU, towards Child Development Projects run by committed grassroots workers. 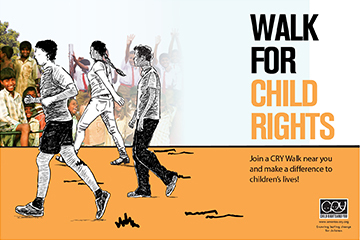 Be a part of a CRY Walk near you and make a difference to children’s lives. Stop 1,071 girls from dropping out of school and help them complete their education. All we need is $15,000 to achieve this. 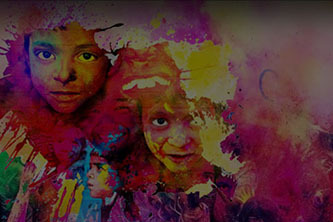 Celebrate Holi and add color to children’s lives! Join our CRY Holi events in Seattle, San Diego, Orange County, Atlanta & San Antonio.